There have been 910 images uploaded to this topic. (View topic image gallery). There are 6835 posts in this topic. You are on page 135 of 137. My wife's friend came over last night with her husband. He likes pinball but hasn't played in many years. So I naturally turn my games on and tell him he can play anyone. He immediately goes to the Hobbit and keeps remarking about how amazing it looks. After ball 2 he says he wants to get one. It was a great night! New dragon arrived and works like a champ! All that is left is a new topper plug (being replaced) and Ill have a 100%+ Hobbit. Will likely be posting a partially working Dragon on the marketplace. PM for details if interested. The only difference cosmetically between the two is the eye color. Follows are the pictures I took when I was taking apart my dragon and putting it back together trying to fix it. If anybody is thinking about trying to fix their dragon here are some photos for reference. More posts to follow with instructions on what to do (and what not to do). 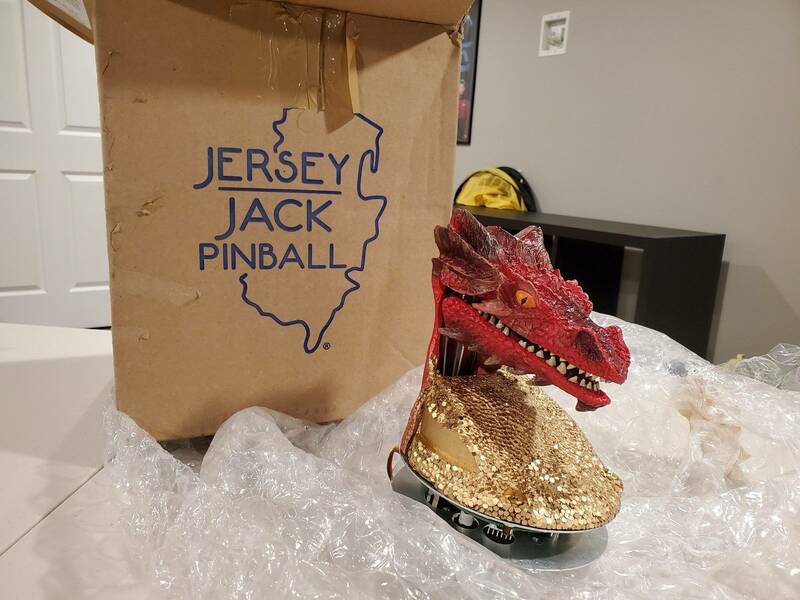 Long story short I ended up having to buy a new $518 dragon from Jersey Jack to get everything working. A warning to all. A replacement SMAUG dragon is $518. 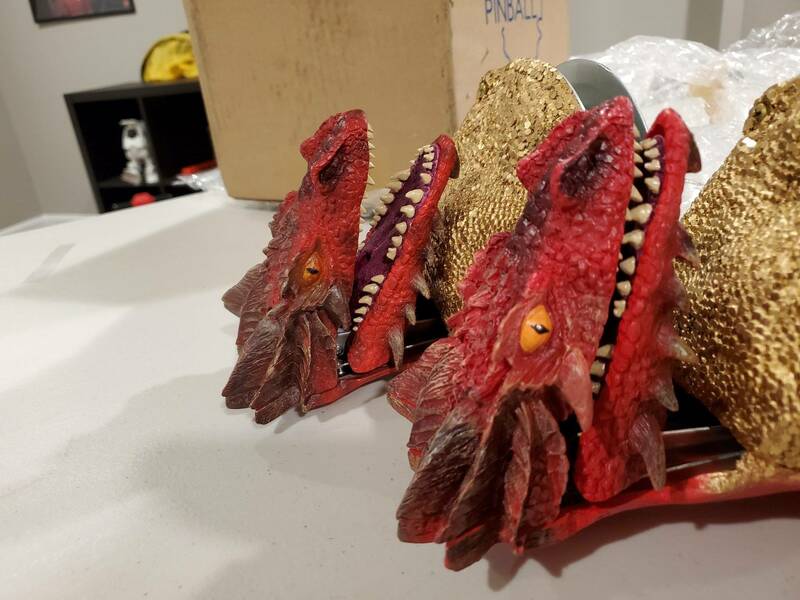 I personally changed my dragon from one where the mouth didn't move unless assisted to one where the dragon didn't do anything except have the eyes light up. I would not attempt any of the below unless it is an effort to avoid the $518 replacement you are already mentally prepared to buy. I won't keep my Hobbit forever, so I figured I might as well fix it and enjoy it myself rather than discounting it by an equivalent amount down the road to have someone else enjoy it. Areas of interest are circled in pink. Remove the dragon by removing the 3 screws (positions approximate) under the playfield. The dragon will drop if you don't have a hand on it when you remove the third screw. Remove the 4 screws on the back of the dragon. The top of the jaw will drop when you do this if not braced. Remove the 2 screws on the bottom part of the gold on the dragon. You now have access to the part of the dragon that controls the open and close of the mouth. Section E1 of the manual tells how to calibrate here. I tried the calibration instructions and failed. After this I thought the problem may have been with the board which requires complete disassembly of the dragon. Don't disassemble any further than previously described if your only problem is mouth opening and closing. I disassembled further and managed to completely hose the left turn//right turn sensors in my dragon somehow. Hopefully these pictures will help someone some day. I have had a couple of PMs about buying my presumably non-working dragon. To the people that have asked about switching out their dragons for purely cosmetic reasons. Switching out the back, mouth, and gold pit of the dragon should be relatively simple. Changing out the top of the head should be possible, but would require switching the LEDs that light the eyes. I think it could be done, but I'd have to take it apart again to confirm. Broken SMAUG is available for sale here. I don't really know where to price it but am starting at $200 shipped. Make me an offer. My Smaug stopped talking due to a malfunction of the servo. 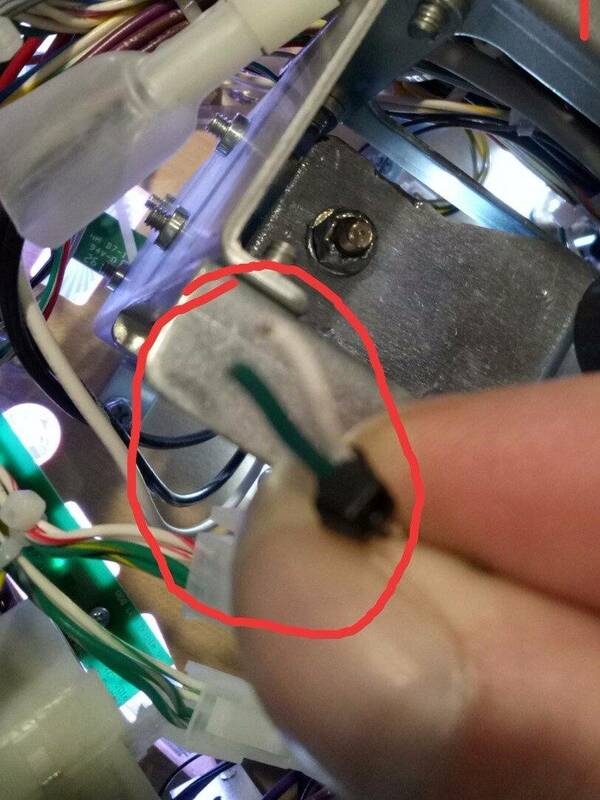 Did you try to replace the servo? It is a comparatively cheap part. Worked fine for me. I was thinking that it would have been real neat to see the JJPOTC spinning barrel pop bumpers on this pin. Would have fit the theme more on this game imo. Anybody who can make this mod has my money. I am working on my own custom topper that will slowly spin Weta Hobbit Barrel dudes for maybe 5 seconds when the pops in the game are hit with maybe some sort of light pattern on them. Working on it occasionally. If it works out, I will share the details. I replaced my Smaug as well when the mouth stopped working. In my opinion JJP should provide instructions (and part - purchased of course) to replace the motor. That is typically the reason for the failed mech. That, or allow the Smaug mech to be shipped to JJP for repair (owner would be charged shipping and repair). That should be way less than the $500 replacement. They do have instructions on how to replace and setup the servo, section E.1 of the user manual. I used it a year ago when replacing the servo on mine. The servos are super common from most hobby stores so there's no reason for JJP to resell them. I've had a few PMs about how the dragon comes apart or goes back together, so here is a quick video I made as I was putting the dragon parts back on the frame. Hopefully this helps some random internet stranger 5 years from now. I've had a few PMs about how the dragon comes apart or goes back together, so here is a quick video I made as I was putting the dragon parts back on the frame. Hopefully this helps some random internet stranger 5 years from now. Any recommendations on what/how to clean the metal ramps? I have lines from the pinball. Wipe them clean with a little naptha or rub them off with a little novus 2. On heavily soiled flatrails I have been known to use barkeepers friend and rubbing alcohol on a teflon scrubby. Thank you...I didn’t know if Novus could be used on metal. What’s up Fellas - proud new owner of a HUO low play Smaug Edition. 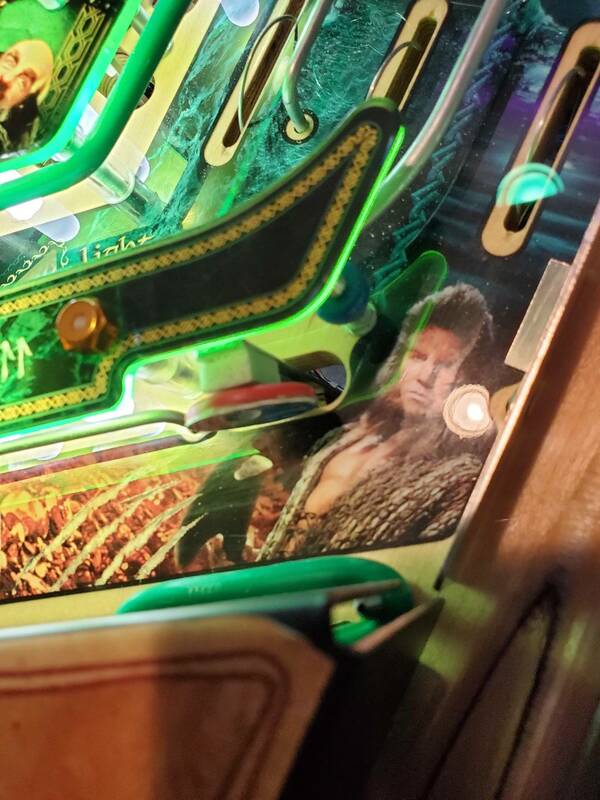 The playfield is like new... working on getting a Cliffy set ASAP! The game has under 100 plays and is on 1.90 code, so gonna get updated tomorrow morning. Weird issues I’ve noticed - the plunger seems to hit the auto-plunger and barely moves the ball... I’m sure just an adjustment, and hitting the ball around Smaug - there looks to be a diverter that seems to be getting the ball stuck before it drops the ball... both look like easy stuff.... excited to get into this awesome game! I am having some issues with my start button. I get the attached error report when I fire up the machine. When I pull out the start switch, the "open position" acts like it is closed and the closed position acts like it is open. This doesn't sound like a big deal as I can still play, but cannot play more than 1 player at a time (and I'm trying to get my wife into this). Is there a simple way to fix this through either the menu or re-wiring the switch? Do I have to buy a new start button? Wire is on the wrong lug of the start button - just pull it off and move it to the other tab. I have played a ton of Hobbit in the last month and really am loving it. My high score is just shy of 2 million so I wanted to get some feedback on strategy. In general I shoot for the loops a lot early in the game. 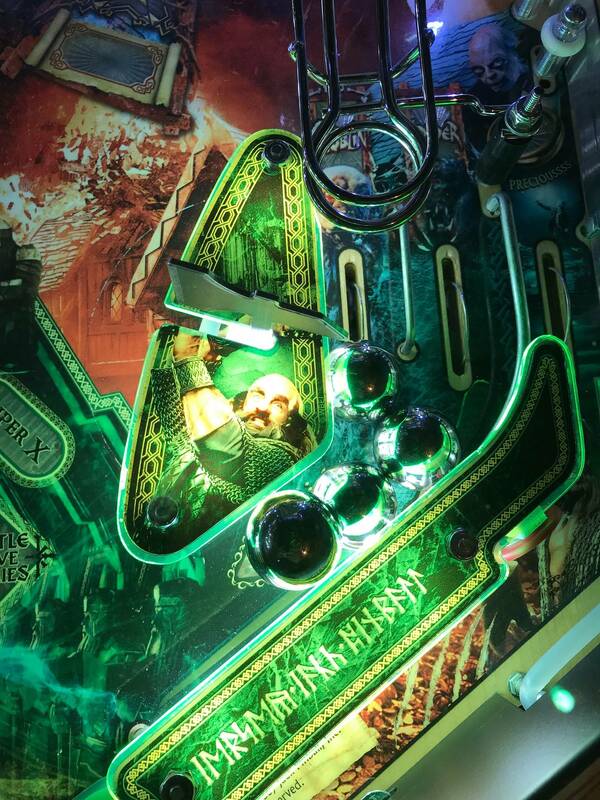 Hitting them advances toward Erebor - which Is the arkenstone that usually takes me the longest to get - and if I miss good things tend to happen in the form of hitting the LOCK rollovers or drop targets. I also have a chance to lock a mode ball if I hit the loop, and that is really what I am going for. 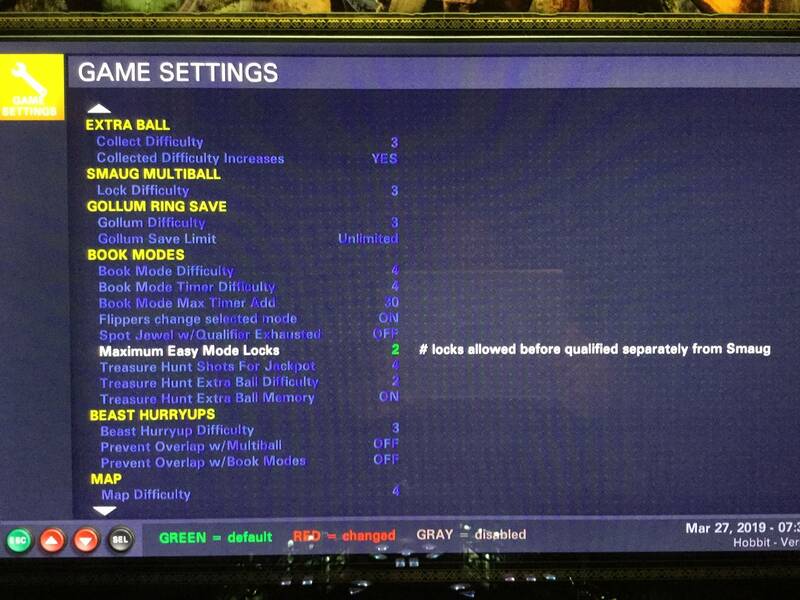 Lock a mode ball, start a mode, and during the mode/multiball spell lock. 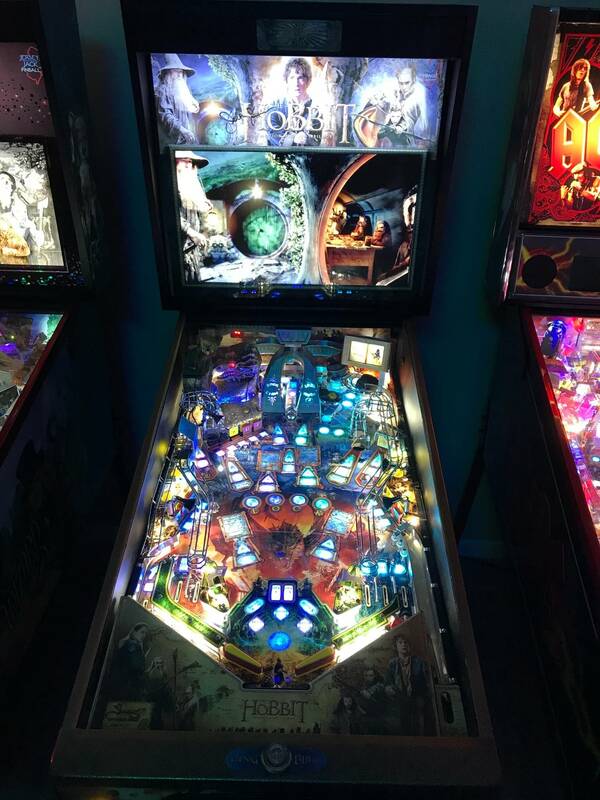 Then if I win the mode or lose a ball I quickly lock a ball in Smaug and either start that multiball or bash a beast and start a beast frenzy. 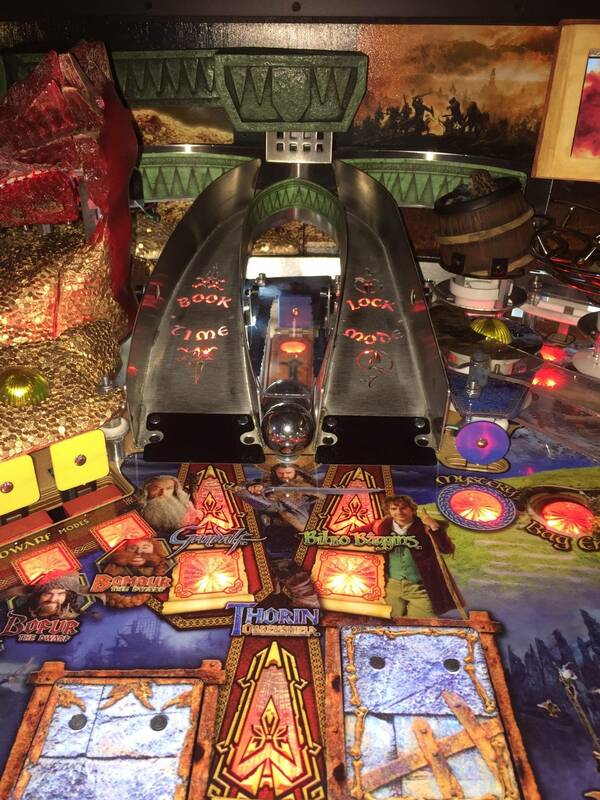 Either way I find I can usually make good progress toward into the fire from working through a mode ball or two, a Smaug multiball and a beast frenzy. Then I start over again working toward barrel escape. It all keys off shooting the loops early and often. What about you all? Do you have a key shot? What is your strategy? I have only killed Smaug twice in a month and have not yet reached 5 armies. Am I on the right path to eventually break the 2 million mark and reach 5 armies? Should I be concentrating more on modes? This game is just so fun I can’t stop thinking about how to master it. Help! This pin is fricking amazing.... Ive played a handful of times over the years on floaty, early code pins and was lost, but after reading how good the code has gotten I grabbed one. I’ve got spring break off with the kids and playing this thing non stop! I shoot for loops first too. I think I’m gonna turn beast frenzy off as it’s crazy and you can’t look up at all. How do you collect the dwarfs stone? When I’m close I screw up and am missing letters or a character... I don’t quite get the dwarfs and usually get them by luck also with multiball. I can’t believe how good this game is!!! 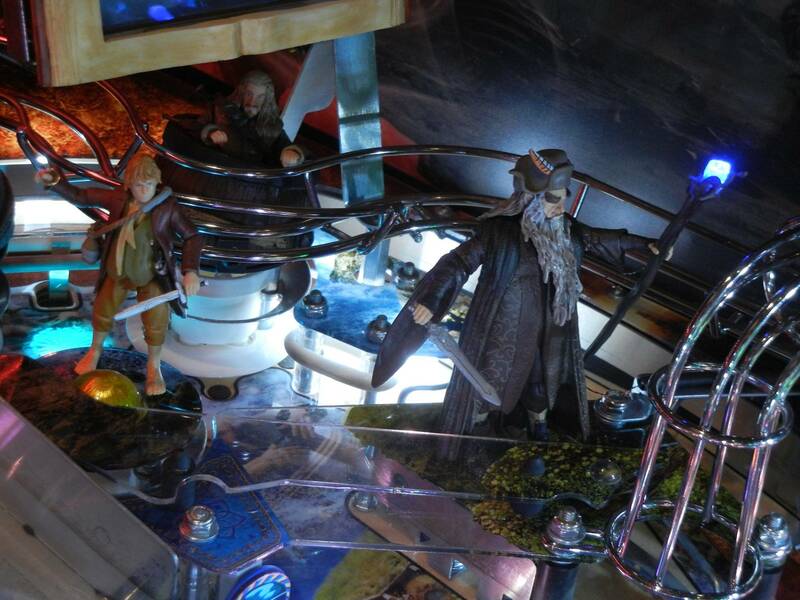 If you want to get to Erebor faster, put a drop of super lube on each spinner. Two good shots around the orbit and you will be there. I leave beast frenzy on during Smaug too. I tried with it off for awhile and found I actually miss the chaos! Plus I tend to accomplish more with more balls in play even though it can be harder to aim. 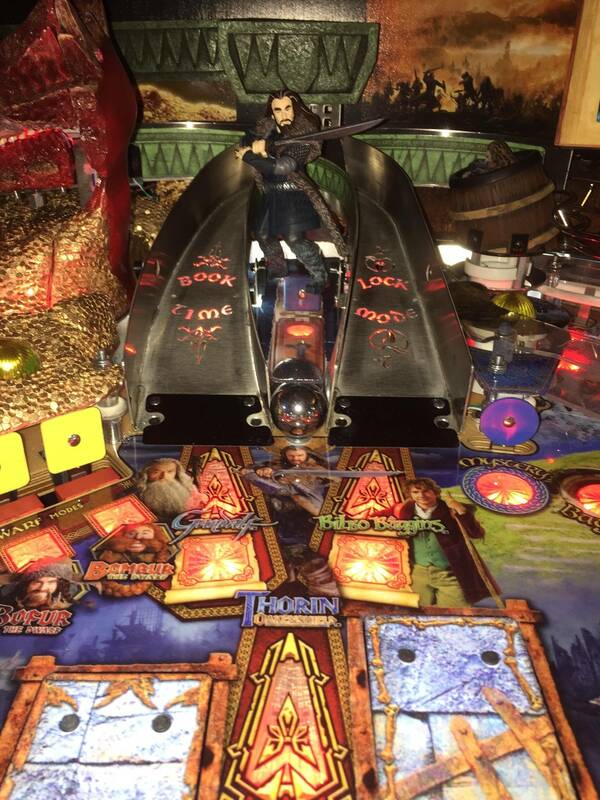 It might also be good practice for the arkenstone modes when you’re going to get 5 no matter what. Lol. I think the widebody really helps when 5 balls are in play. It’s border line manageable when they aren’t all competing for such a small space. So much fun! I think you knock down all the drop targets then the rest of the dwarves are just the stand ups. Totally agree about not being able to lookup much when all 5 balls are cooking. I try to sneak a glance at the book. Thank goodness for the book! Thanks for the comments. You guys are making me think good things can happen if I stick to my guns. Has anyone had luck postponing modes? 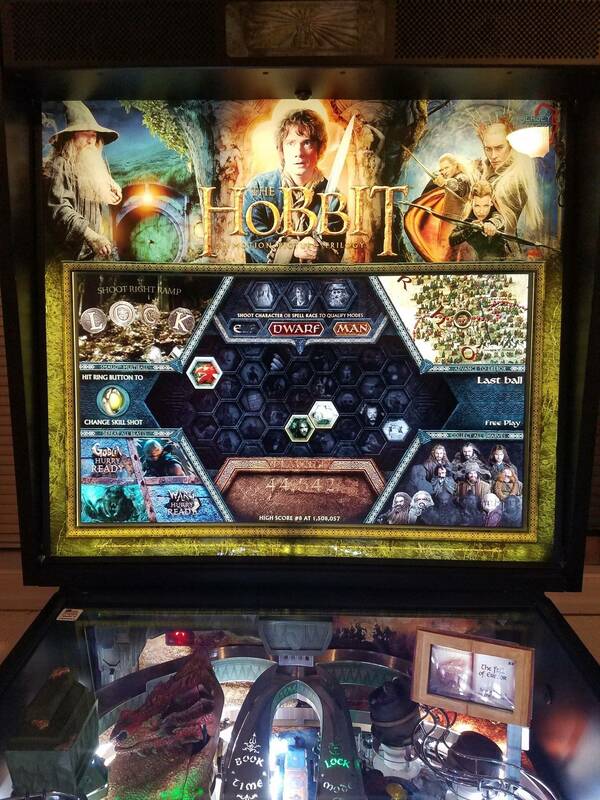 Which ones do you like to play during Smaug multiball? I’ve been doing this for years on my spinners. It makes a big difference and those shots feel so rewarding. Thanks pineal - but regarding dwarfs - I believe I’ve had all letters and all 3 characters collected up top, but no stone... is there a shot or something to then collect the stone? I had the same thought as you up until a week ago, but you don't actually collect stones from completing "Man, Elf, and Dwarf" or (Gandalf, Radagast, Bilbo). In order to collect the top center stone you simply have to successfully compete a mode... any mode. You generally start a mode by hitting the right ramp when mode is lit. Follow the instructions on the small screen, usually hit the shot lit by a yellow LED. Some of the modes are harder than others and are indicated by ***s at the top of the small screen. Change the mode by hitting the left ramp when not in a mode. I thought mountaingamer was talking about the dwarf arkenstone in lower right. Either way thanks to Satan for the clarification about the center top stone. I sometimes struggle with that one but completing a mode is pretty straight forward. What are you guys’ favorite modes? 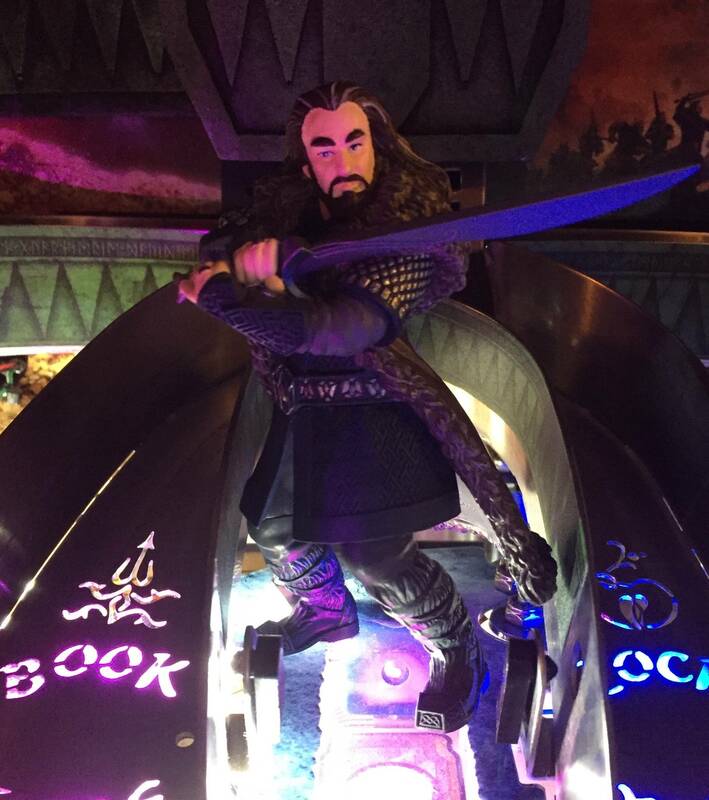 I do ok with the one where you load the windlance and shoot Thorin (“It was the day the dragon came...”) as long as the windlance hits the top flipper. I struggle with the ones where you have to hit any of the lower drop targets. Does anyone have a reliable shot for those? Is there a way to change how many modes are qualified from the start of a game? The way I like to start the game is to start the resurgence of sauron then start ripping the spinner to build the ramp value. Add time when it's lit blue then keep ripping the spinner. You can get the ramp value to 10+k pretty quickly and will have most of the map completed. If you can get into a multiball and complete the mode this way there are some pretty juicy treasure values to be had. 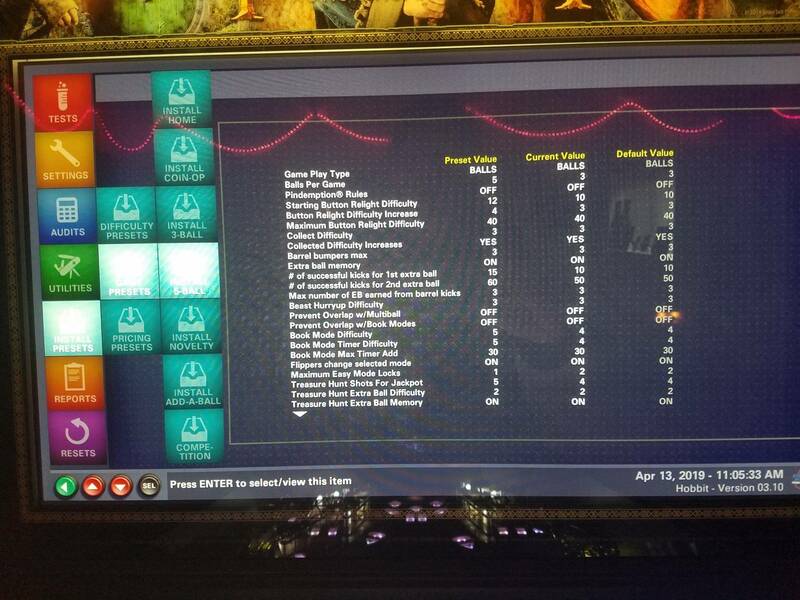 Treasure values? Tell me more. I can usually complete Sauron but haven’t been working in the spinners. I can’t wait to try your strategy! Okay... stupid question. I switched the two wires this morning with no effect. Are you saying that I need to plug the wire into a different tab? 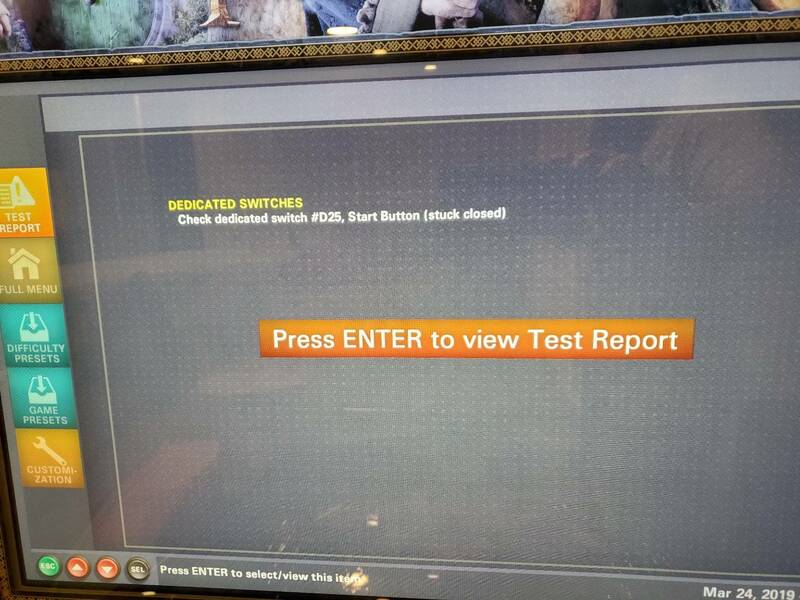 If anyone happens to have there Hobbit open while they read this... could I get a photo of the back of your correctly working start button? I switched the two wires this morning with no effect. Are you saying that I need to plug the wire into a different tab? Look at the switch, one connector on C and one connector on NO. 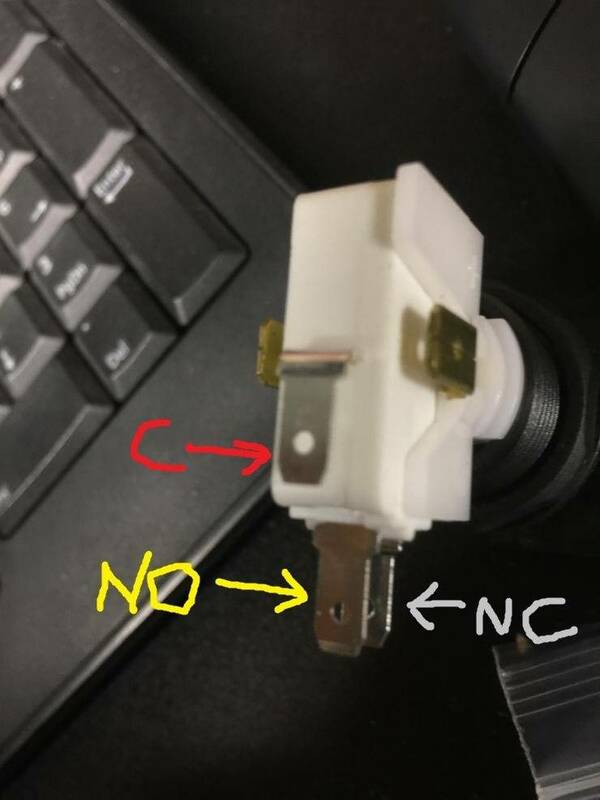 No wire on NC. I'll check tonight... I'm pretty sure I'm connected on C and NC. Thanks! Worked perfect! Playing now. Thanks! I think it's called treasure hunt. Sometimes after a mode when you're in multiball there will be a bunch of red shots. If you make them all you get the jackpot value which is displayed at the top of the screen. It can definitely add up quick. If you can use that mode to feed the others that are attached to it (not sure which ones) then you can get some good points quickly. I'm still trying to figure out the other good scoring modes so if anyone has tips let me know! Here is a quick 2 minute video of the mods I have on my Hobbit in case people want to see how mods look on this. Most of these are from the previous guy, but I added a topper. Has anyone used the Beorn save on the right drain? Mine has never activated but has a piece of foam in it. Is it supposed to be like this? Yes, and yes. That is a normal target. All have foam like that. It is active during multiball normally. You can tell it’s active by the lights strobing in the inlane. Not sure if anothet code release is scheduled for TH, but what about the simple idea of no ball save during any and all Multiballs? Seems like the perfect old school tweak to shorten game times. Well this was a first. Ball bounced up and got stuck above the plastic protector during beast multiball. I kept playing to see if it would roll out but it obviously didn’t. I pulled the glass off, stuck a ball in both VUK and 2 and the shooter lane. Glass replaced and back in action as soon as I closed the coin door. Fun stuff! Maybe sand down that protector a bit until a ball goes thru it.